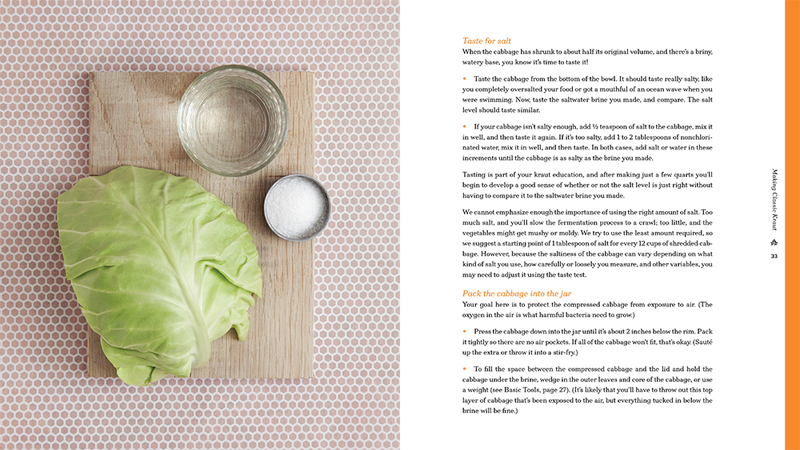 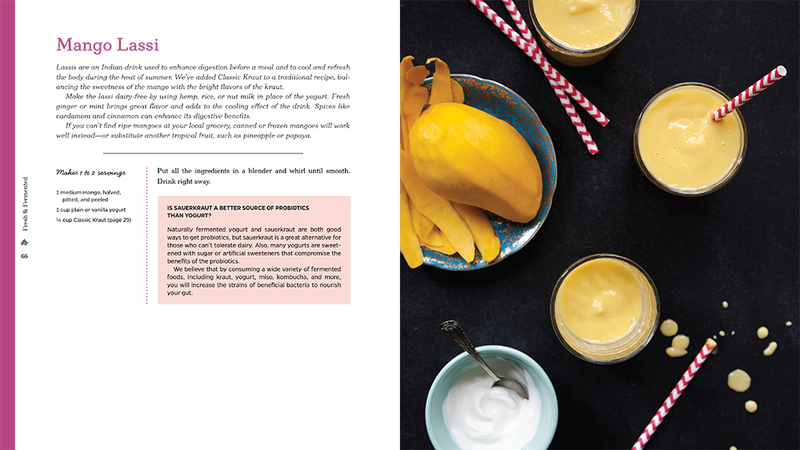 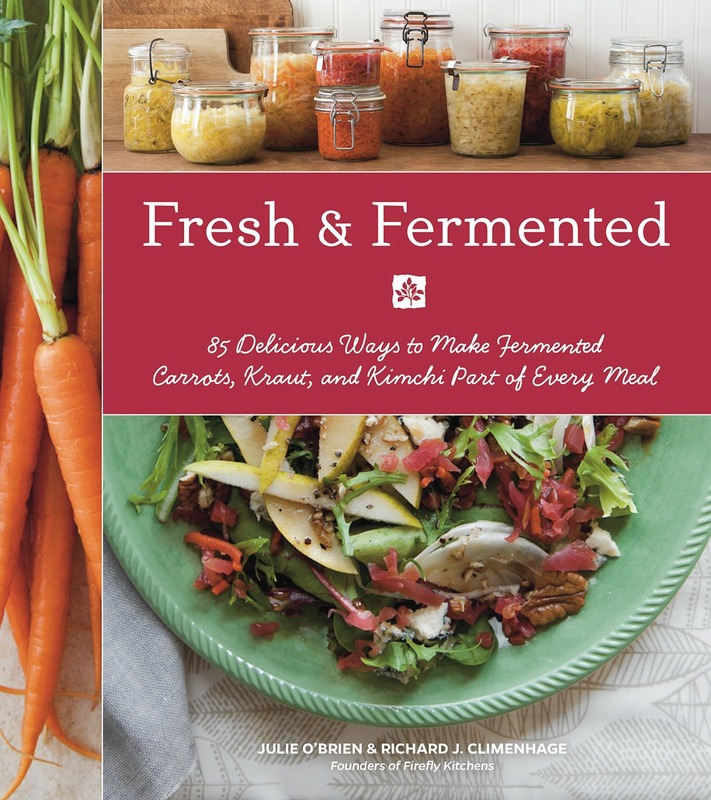 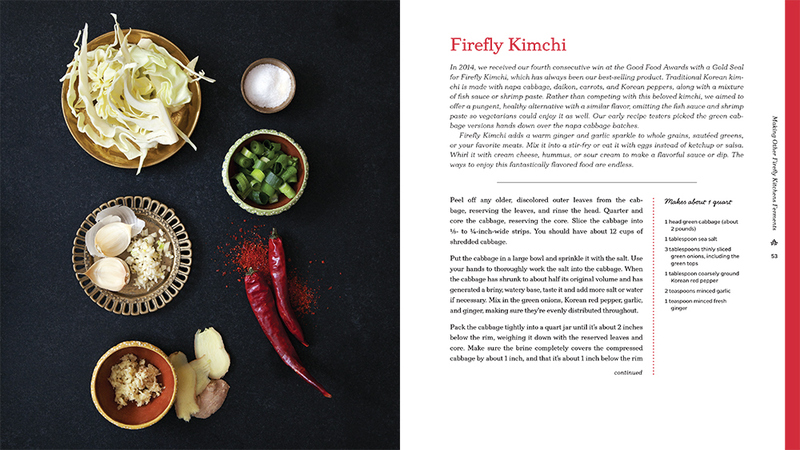 This book, written by Julie O’Brien and Richard Climenhage of Firefly Kitchens, teaches readers how to incorporate fermented foods into everyday meals. 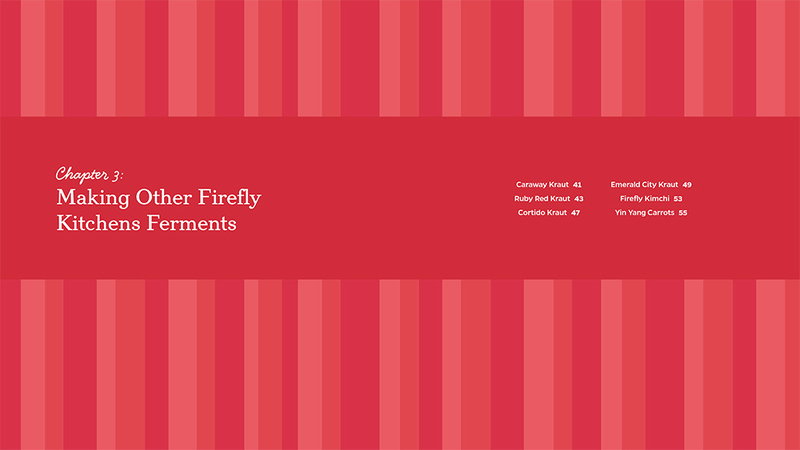 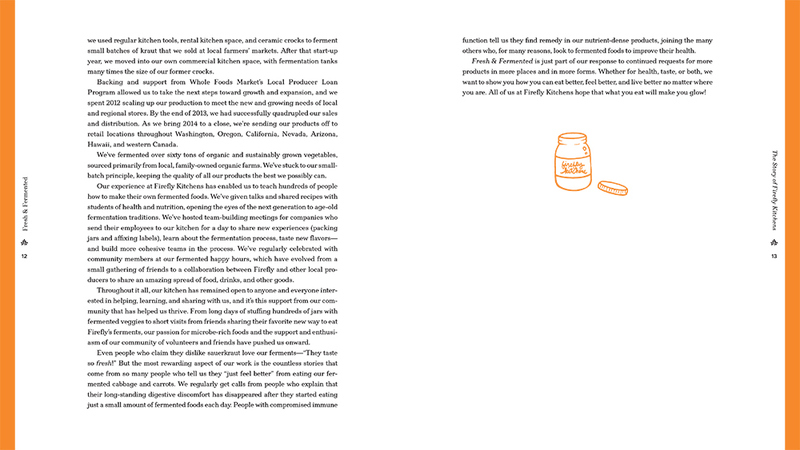 I used the packaging of Firefly Kitchens’ jars as inspiration for the color palette and chapter openers as well as to tie the book back to the brand. 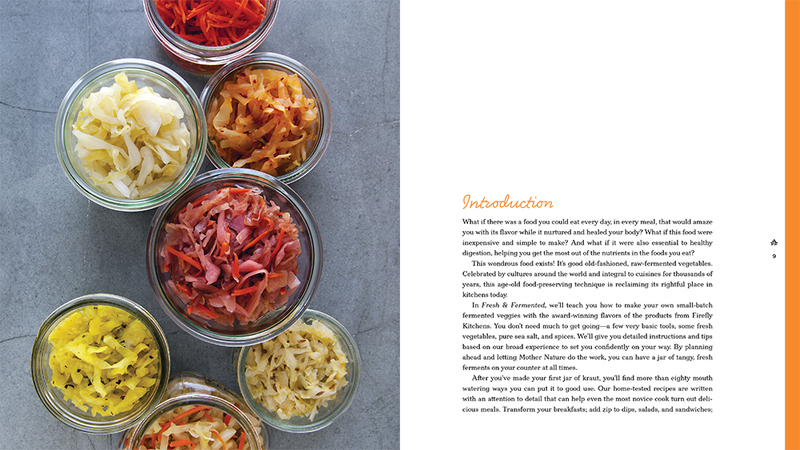 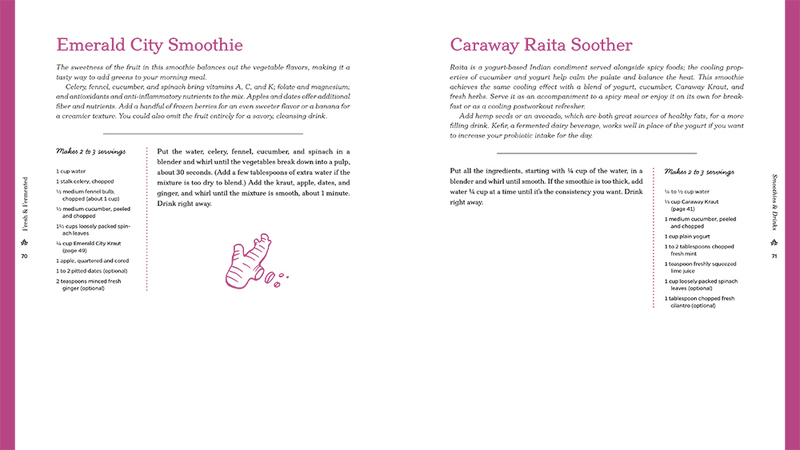 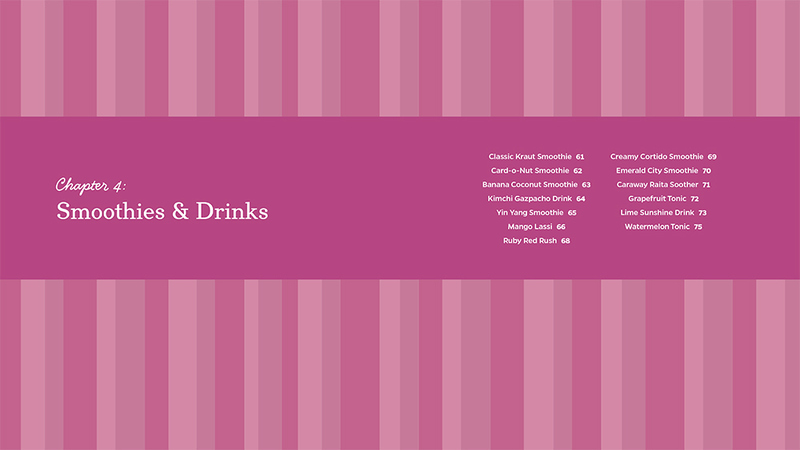 Each chapter is coded with a different color, and I illustrated ingredients and jars to add a bit of charm and approachability.